The Bonneville Power Administration took bold steps recently to maintain electric system stability and address a unique set of circumstances presented by the combination of a large spring river runoff and an enormous increase in wind generation in the region. BPA's interim policy to address "overgeneration" sets out a series of measures that include curtailing all non-hydro generation during some hours, including wind generation as a last resort, when dams in the Columbia River system must generate power rather than spilling more water over the dams in violation of federal environmental laws protecting endangered salmon. A recent Oregonian editorial ("BPA's wind power cutoff sends a troubling signal," May 20), seems to imply there is some simple solution that BPA missed. There isn't one. BPA has been working on this issue of "overgeneration" for a few years now and is pursuing many creative paths to alleviate the problem. But, building any large-scale transmission expansion takes billions of dollars, years to site and complete, and still presumes there is demand out of region that can use the power during specific hours and will pay those transmission costs. And, asking a federal agency to spill more water over the dams in violation of the Clean Water Act and Endangered Species Act is a nonstarter. The bottom line is that there are times when there is more generation in the region than there is demand to consume it. The enormous increase in wind generation in the region has contributed to overgeneration. 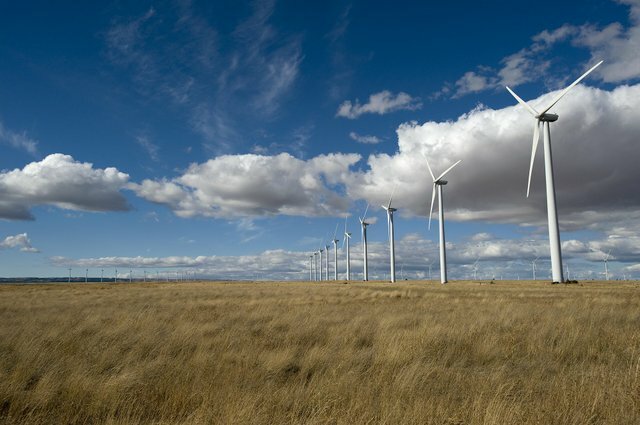 To its credit, BPA has successfully integrated over 3500 megawatts of wind power into its system, a huge increase from 250 megawatts just six years ago. That amount may double again in the next couple of years. Faced with angry responses from some wind generators that lose federal tax and renewable credits when their projects are curtailed, BPA took a bold stance in saying it would provide free replacement hydropower in lieu of wind taken off-line, but would not pay those companies for the value of lost credits. As consumer-owned utilities that pay the bulk of Bonneville's operating costs, we applaud the move as a tough but necessary decision in order to ensure reliable system operations, protect endangered salmon and protect ratepayers from undue costs. Northwest ratepayers should not be on the hook to pay the cost of a lost federal tax incentive, particularly when a large percentage of wind power generated in the region is sold out of state. However, one solution to address wind generators' concerns in the future would be to make the replacement hydropower eligible for the same credits wind generation would have received during those hours. Hydropower is, after all, a clean and renewable resource. BPA's policies have facilitated a large growth of wind projects in this region that have helped meet state targets for renewable energy. Now we look forward to working together with Northwest leaders representing federal and state agencies, wind generators, utilities and ratepayers to address remaining challenges in order to ensure a reliable and economic power supply far into the future. Scott Corwin is executive director of the Public Power Council and is a member of the Northwest Wind Integration Steering Committee that will meet in June.